"Kristy Woodson Harvey has done it again! Perfectly tying together the stories of Ansley, Caroline, Sloane, and Emerson (and their men! ), The Southern Side of Paradise is full of humor, charm, and family. Fans of the Peachtree Bluff series will not be disappointed!" "I devoured The Southern Side of Paradise. 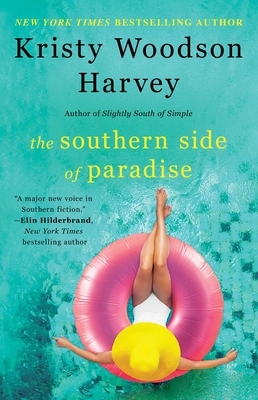 Kristy Woodson Harvey spins a deliciously authentic Southern tale of family and the often messy, complex relationships between sisters, mothers, and daughters. This book is the perfect beach read." "With every installment of the Peachtree Bluff Series, I fall in love all over again with the charming Murphy women and the charismatic men in their lives. The love these three sisters and their devoted mother have for one another binds this family together through thick and thin. And there is plenty of thick in this action-pack drama to hold you spellbound until the last word. One can only hope we’ll see more from this unique cast of characters and their magical Southern coastal town in the future."